Continuing our focus on ex-Tram shed and all-round reyt good cocktail bar and restaurant, we’re offering you the chance to win big with Revolucion de Cuba Sheffield this month. In the run-up to the cantina’s Caribbean Carnival extravaganza on Sunday 26 August (the final bank holiday weekend of the year 💔), we’re giving you the chance to win a bundle of goodies that’ll guarantee a great evening. 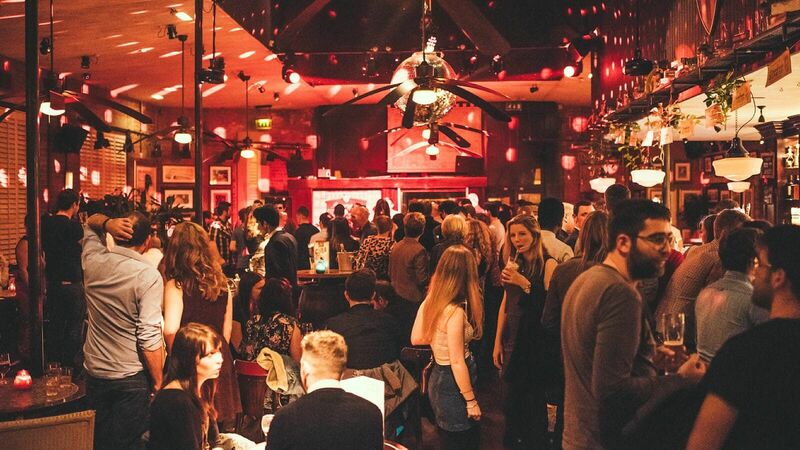 As we’re shouting about Revolucion de Cuba throughout this month, what better way to celebrate the Latin-inspired venue than by offering you the chance to win a private booth as well as a Carnival Package to enjoy at its Caribbean Carnival extravaganza. This includes one bottle of spirit, ten bottles of Peroni and ten strawberry margarita shots(!). To enter, simply head to the Facebook post, and comment underneath with who you’d share the prize with if you won. Head down to Mappin Street on Sunday for a weekend of live music, cocktails, samba girls and a whole lot of glitter. With two for one cocktails available from 5 until 7pm, and two for one tapas on throughout the day, you’ll literally never want to leave. Did we also mention that the fabulous Batacuda Horns will also be playing from 9pm? Tate Funk will be on hand to see you in to the small hours, too. This competition closes at 6pm on Tuesday 21 August. We’ll be announcing winners on Wednesday 22 August, in time for celebrations to kick off on the Sunday! Note: the person who tags friends is eligible (not the person tagged).